Cabana Desolation is located on a remote island in the middle of Desolation Sound, at the top of the Sunshine Coast, British Columbia. Reaching this wonderful location is an integral part of the experience! 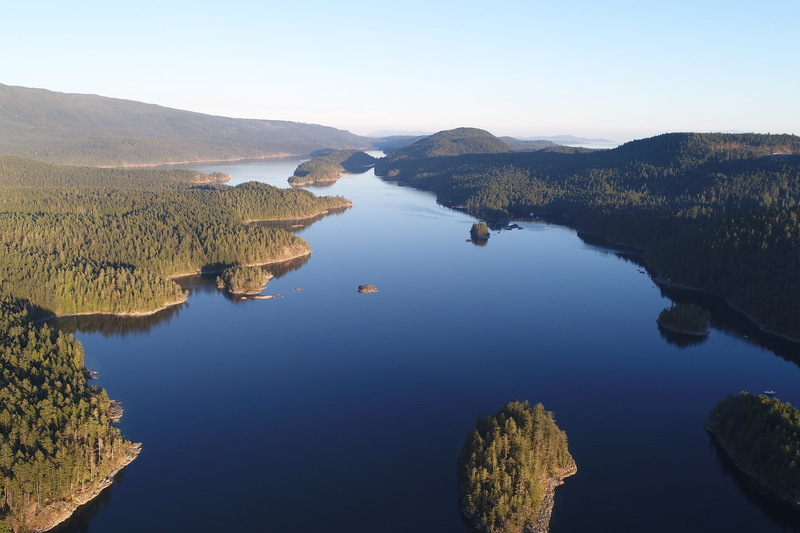 Our launch site and base for both our kayaking and non-kayaking guests is at Penrose Bay, in Okeover Inlet. This is a 30 minute drive north of Powell River on BC’s Sunshine Coast. From here it is an 8 nautical mile paddle or boat ride to Cabana Desolation in Desolation Sound. As mentioned, there are two options for accessing this unique and exclusive eco resort: kayaking or motor vessel transport. Most of our guests do choose the kayaking option as it allows this area to be enjoyed at a more relaxed and immersive pace. Our location on an uninhabited island in Desolation Sound makes Cabana Desolation Eco Resort a truly unique Sunshine Coast resort. 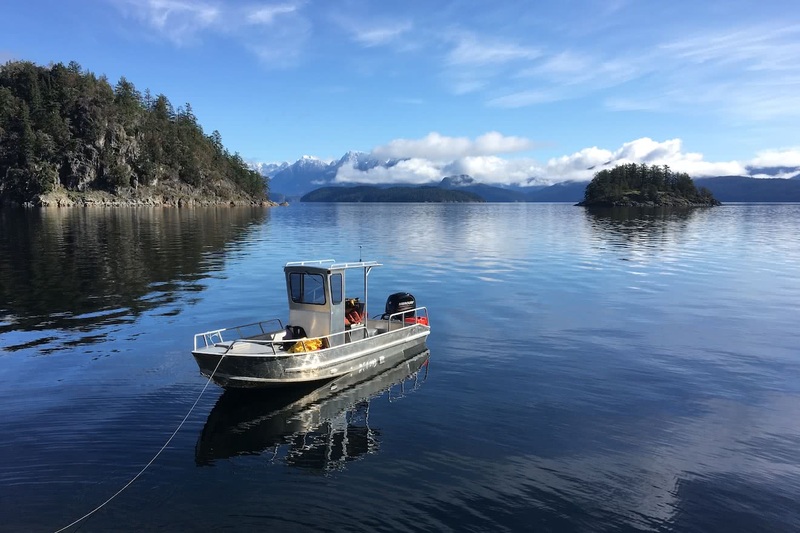 Starting in the sheltered waters of our private waterfront launch site, guests paddle along varied shorelines and amongst idyllic islands and islets as they make their way to the entrance of Desolation Sound. From here, the view opens up entirely. To the west the imposing Coast Mountains rise 7000 feet straight out of the ocean. To the north and east numerous passages and waterways wind their way between rugged islands and offer an enticing glimpse of the days to come. A thirty minute open water crossing from here to Kinghorn Island is all that stands between you and your first evening of relaxation and exploration of Cabana Desolation Eco Resort. If you are planning to kayak out, please click to read about starting times and itineraries on the first morning, as well as paddling times and distances. Alternatively, you can choose to be transported to and from Kinghorn Island via the company motor vessel. This trip is a relatively short 20 minute ride through these same stunning waters. Motor vessel transport is possible for both our guided and non-guided trips. A surcharge does apply to our regular prices if choosing this option. Please note that the remote nature of Cabana Desolation, while making the resort a truly unique guest experience, also introduces some particular logistical challenges. If you are interested in Motor Vessel access, please click to read about itineraries, departure times and further logistics regarding this option. © Copyright - Powell River Sea Kayak Ltd.